The Golden Knights fourth line has majorly outperformed the second in this series. 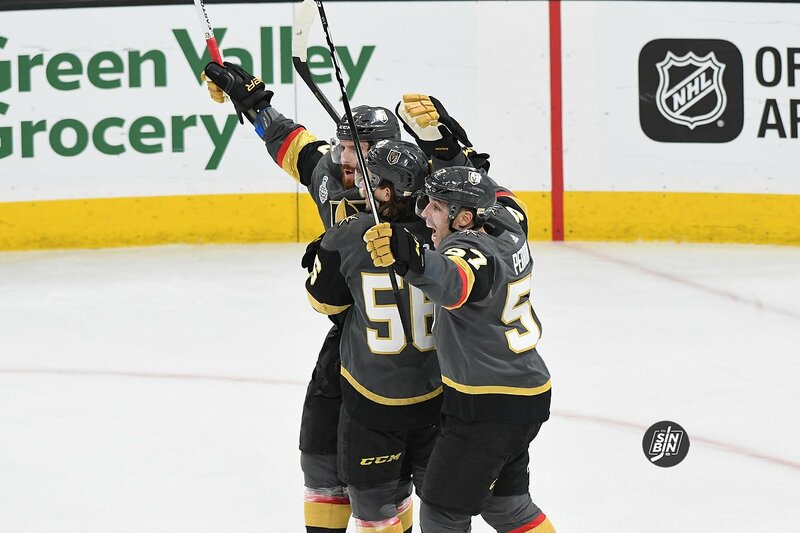 On top of killing penalties, blocking shots, and wearing out players, the Golden Knights bottom line of Pierre-Edouard Bellemare, Tomas Nosek, and Ryan Reaves are +11 with six points (4 goals, 2 assists) in the Stanley Cup Final. Those are numbers the second line should have after three games. Neal sounded confident after Game 3, even going as far as guaranteeing it will be their best game yet in Game 4. That is of course if Jack Adams finalist Gerard Gallant doesn’t tinker with the lineup, which after the last two games, seems like it’s probably necessary. Our suggestion: Put Tomas Tatar back in the lineup for Ryan Carpenter and switch David Perron and Alex Tuch. This should inject a little offense into both lines and give the Capitals a much different look from what they’ve seen in the first three games. Either way though, lineup changes or not, Haula, Neal, and Perron must be better, in both ends, because when Tomas Nosek carries the team offensively, they’re going to end up on the wrong side of the scoreboard more often than not. I don’t know if Perron is hurt. But he has not looked good all series. If he is hurt, and maybe even if he isn’t, I would think of putting Carrier in for him. Put Tatar, Eakin and Carrier on the 3rd line. Carrier is better defensively than Perron. Those 3 on the same line will create some serious speed match up problems for the caps. Plus Carrier is going to add a much needed physical element to the line.